The XRay, shown, is winning Russian buyers with its modern look. The SUV and Lada's other new model, the Vesta sedan, were styled by Steve Mattin, Volvo's former design chief. A product push by Lada, Russia's best-selling brand, is paying off after the marque defied the market's steep slump with rising sales last month. 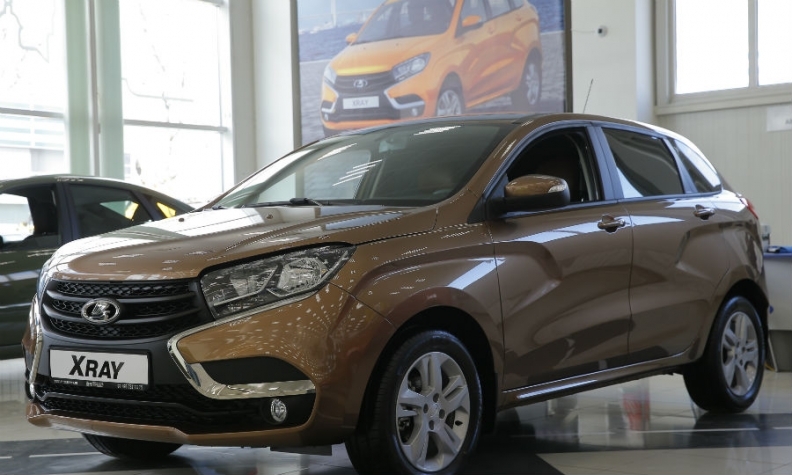 Lada's new-car sales increased 4 percent year-on-year to 21,754 in July in a market where total volume plunged 17 percent in July to 109,410, according to a statement from the Moscow-based Association of European Businesses (AEB). Driving Lada's revival are the new Vesta sedan and XRay crossover, two compact cars developed to be better rivals for models from Western automakers. The cars are underpinned by Renault-Nissan's BO platform, which is also used for low-cost Dacia cars. The Renault-Nissan alliance controls Lada parent AvtoVAZ. The Vesta was Russia's fourth best-selling model last month, with a volume of of 5,198, while the XRay sold 1,772, making it the No. 17 model. Customer demand for the cars has exceeded expectations, Lada said. 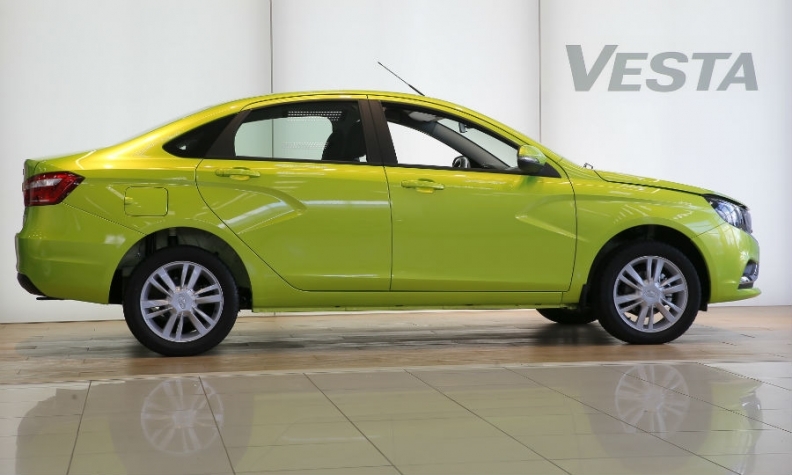 The Vesta went on sale in November as Lada's flagship model. Through July, its sales were 28,092 in Russia. The XRay launched in February. Sales were 9,814 in the first seven months. Lada's total sales fell 10 percent to 146,107 through July. Most Western brands suffered sales drops last month as the Russian market continued to fall. Kia, the No. 2 brand by sales after Lada, saw its volume fall by 11 percent in July. Sales at Hyundai, the No. 3 brand, dropped by 12 percent. Volume at Renault, the No. 4 brand, fell 8 percent. Download PDF, above right, for sales by automaker, brand and model for July and seven months. Among other brands, Ford sales fell by 7 percent while VW declined by 2 percent. VW Group's Skoda was a bright spot with volume up 12 percent. The Vesta, shown, shares a platform with Renault's Dacia cars. Total market sales are down 14 percent to 781,605 in the first seven months. Joerg Schreiber, chairman of the AEB's automobile manufacturers committee, said the Russian market is still in decline despite stable prices, high purchase incentives and continuing government support because many customers are still unwilling to spend money on a new car. "Long term demand however remains high and is in fact building up as purchase decisions are being postponed. It is just a matter of time for this demand to be unlocked," he said in the statement. After a decade of annual sales growth in excess of 10 percent and the expectation that the market could overtake Germany as Europe's biggest, the Russian auto industry has been badly hit by an economic crisis driven by low oil prices and Western sanctions over the Ukraine. Russian car sales have been declining for 19 months.